The Cottage01263 715779work01603 870304fax Self-cateringThe Cottage is ideal for families and groups, and is particularly notable for its large garden. It is within walking distance of the village pub and shop, and of the village's own Broad and staithe - perfect for dipping your toes in the water and watching the boats sail by. There are several other attractions within driving distance such as the coast, Bewilderwood, Fairhaven Water Gardens and the historic city of Norwich. 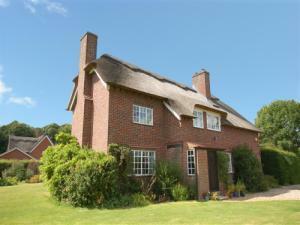 The Cottage is ideal for families and groups, and is particularly notable for its large garden. It is within walking distance of the village pub and shop, and of the village's own Broad and staithe - perfect for dipping your toes in the water and watching the boats sail by. There are several other attractions within driving distance such as the coast, Bewilderwood, Fairhaven Water Gardens and the historic city of Norwich.